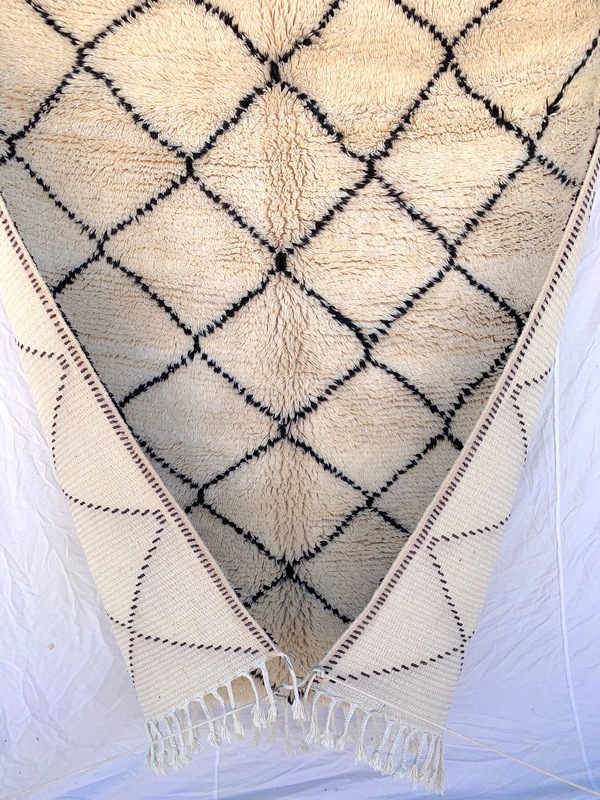 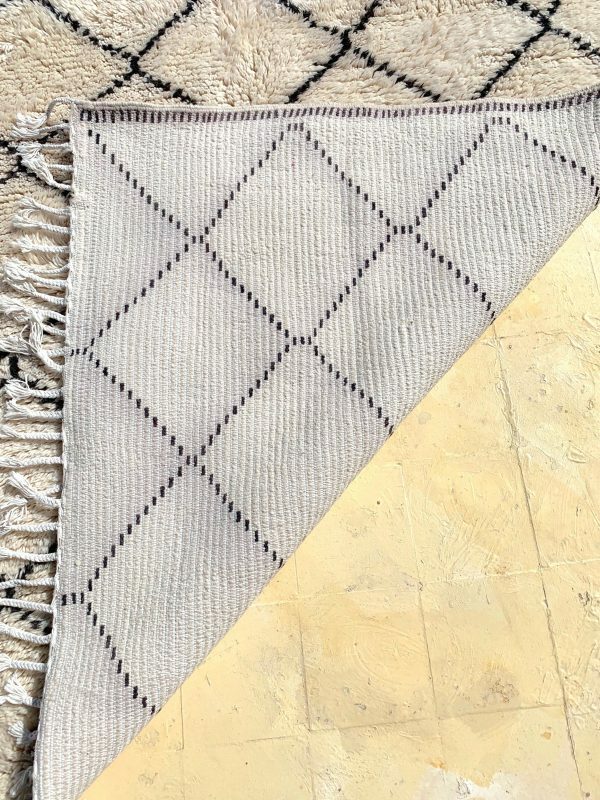 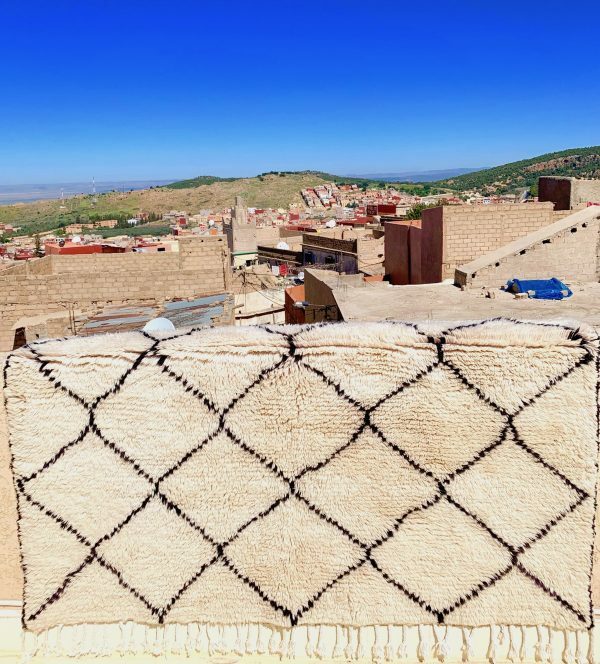 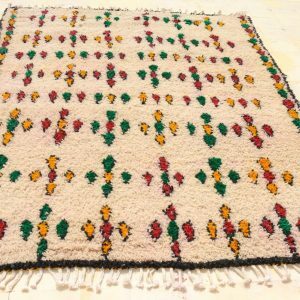 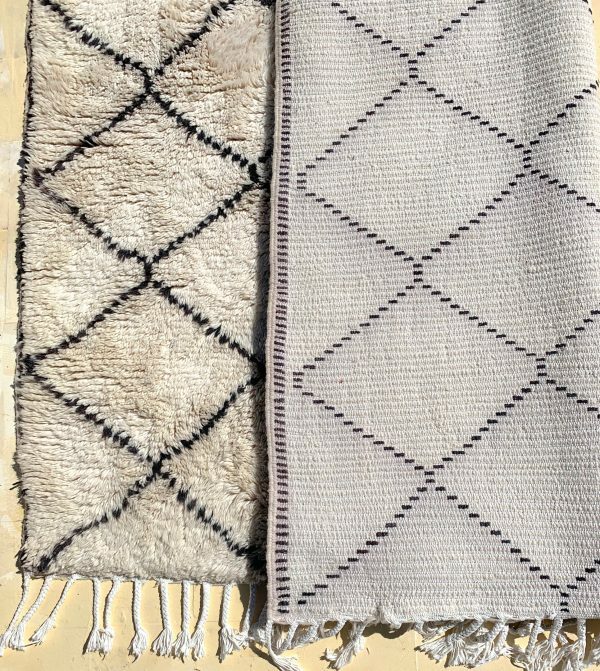 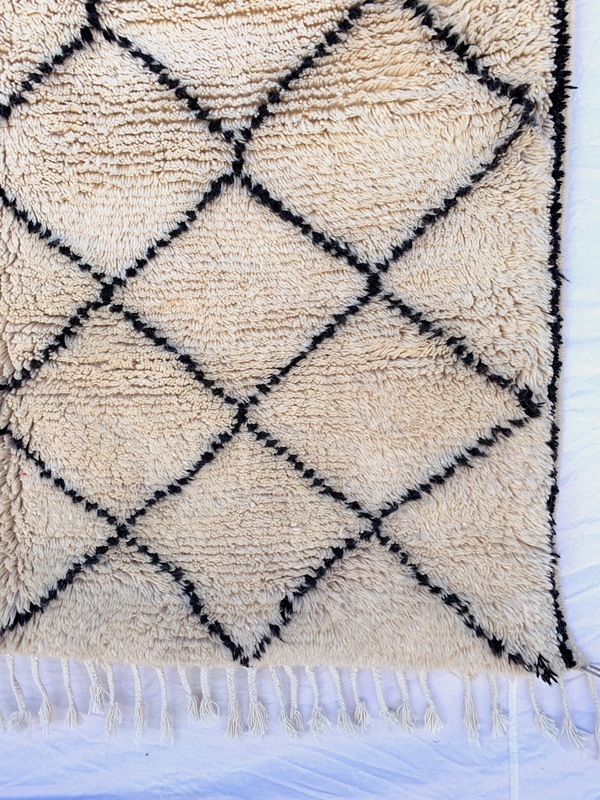 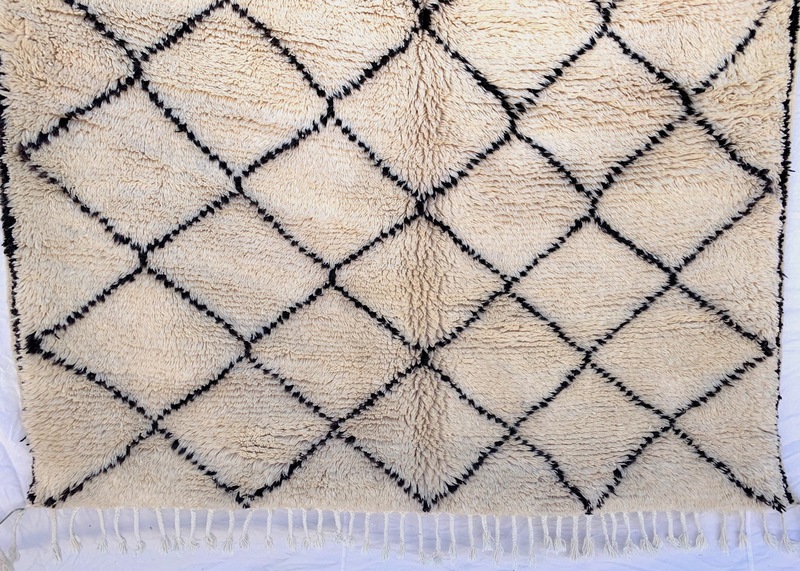 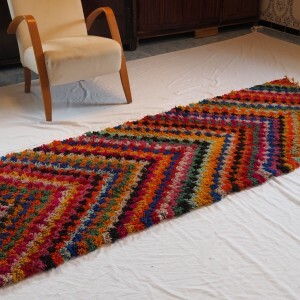 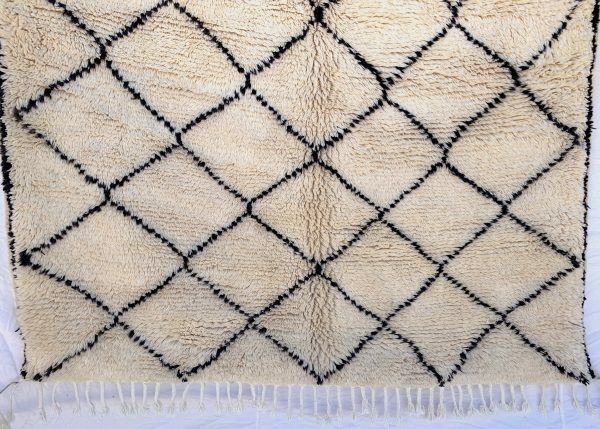 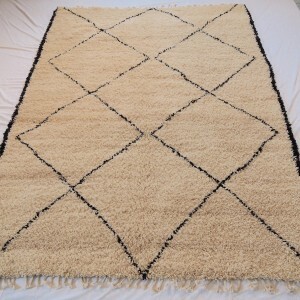 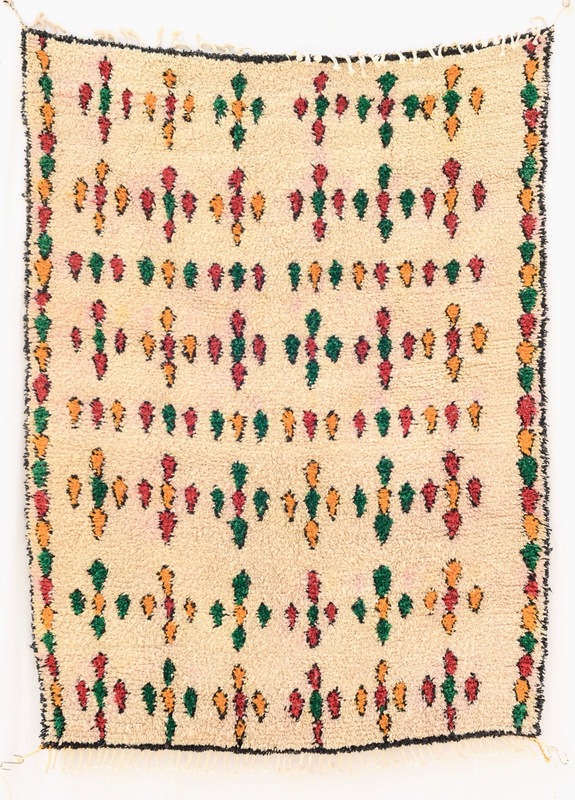 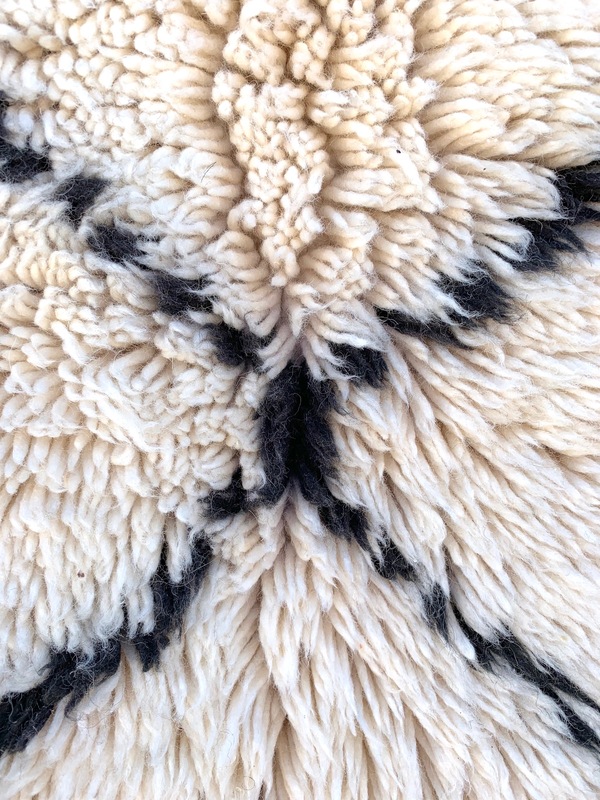 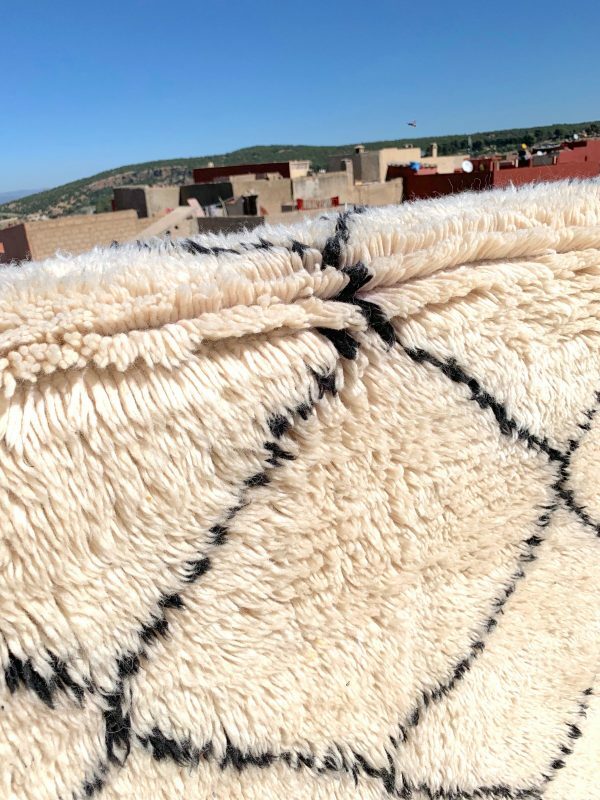 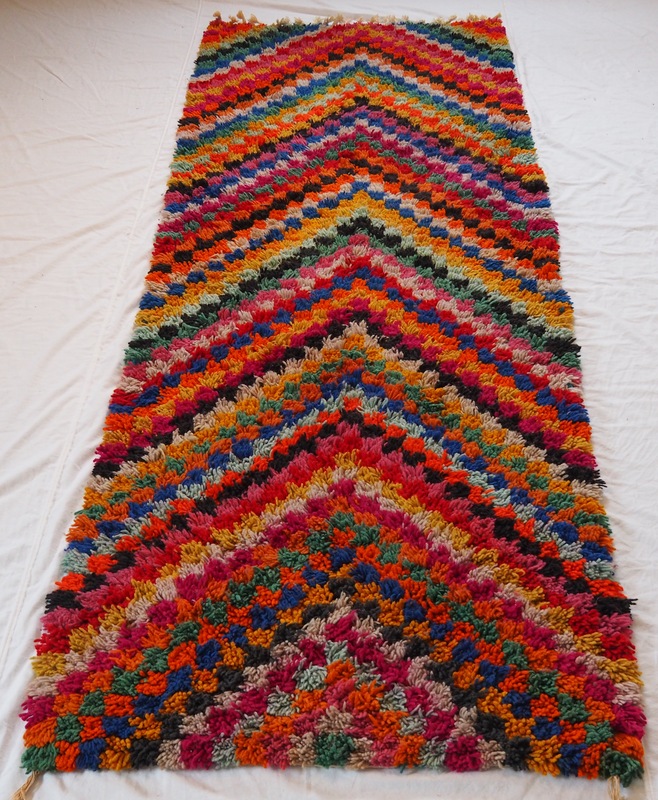 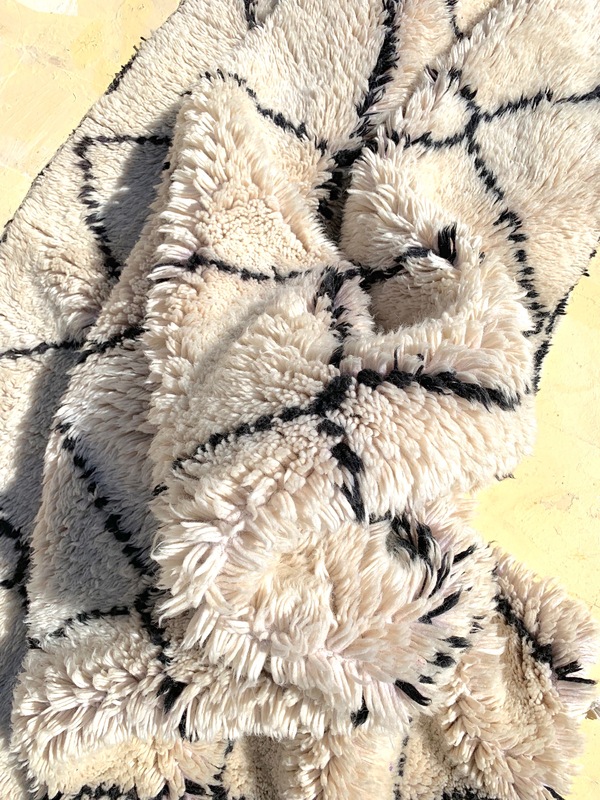 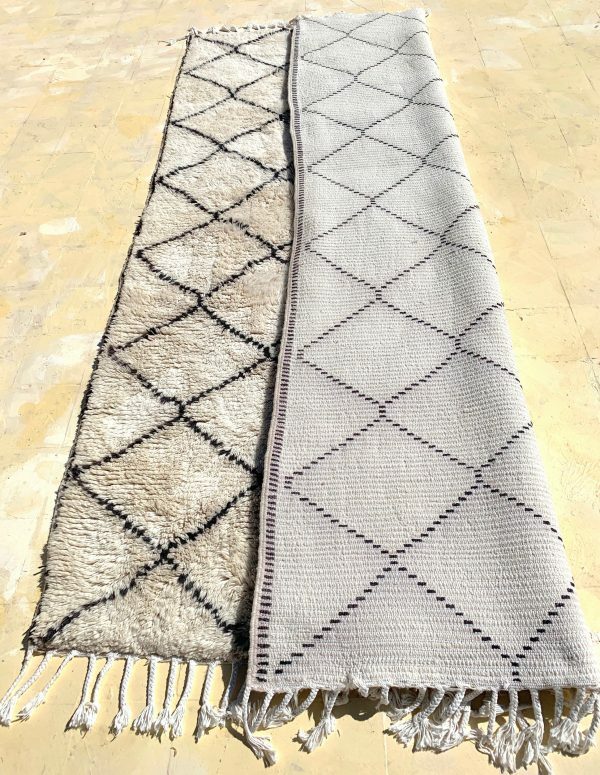 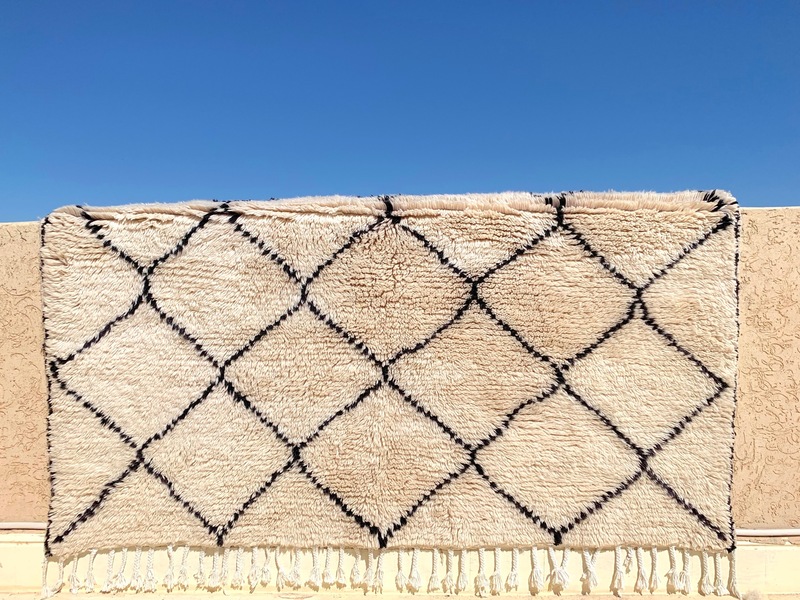 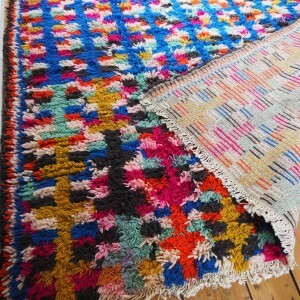 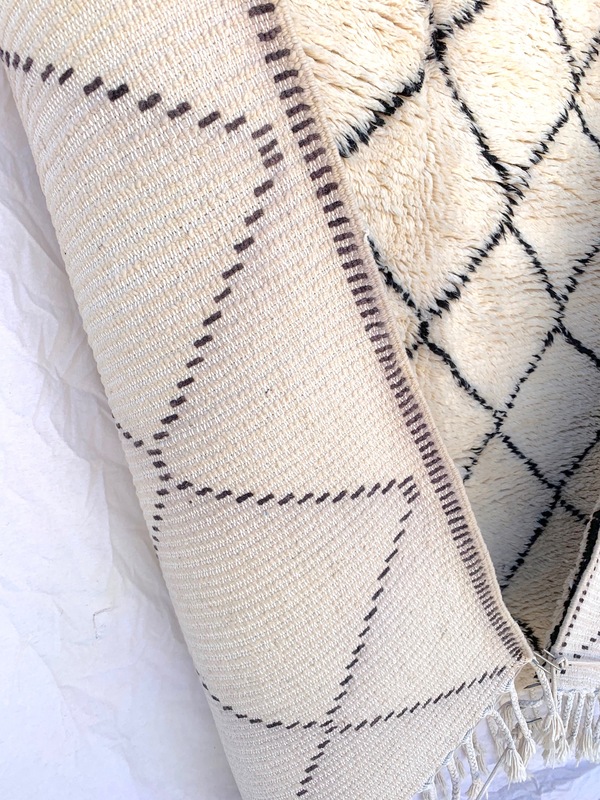 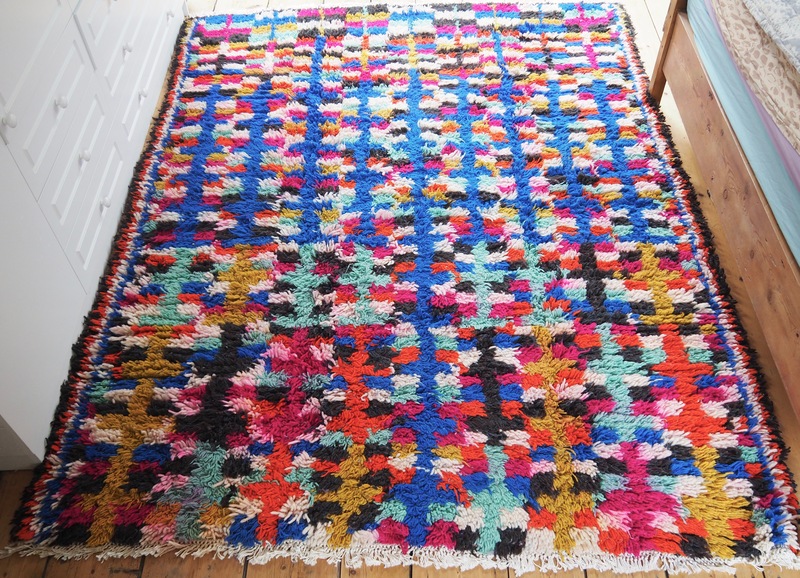 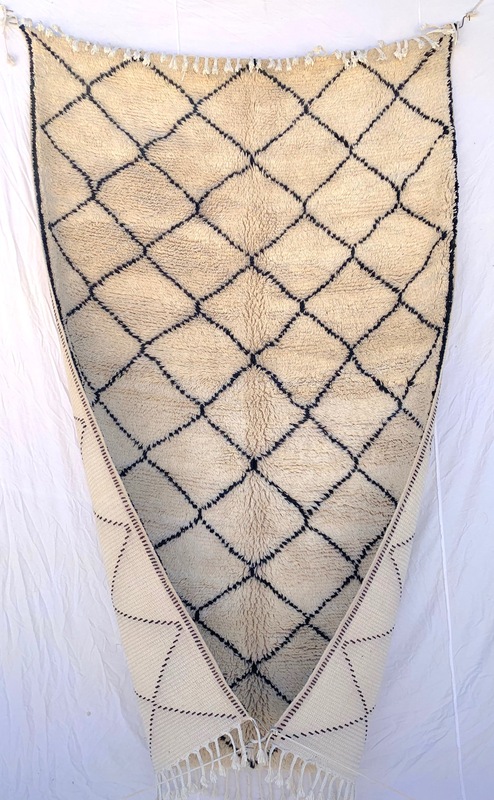 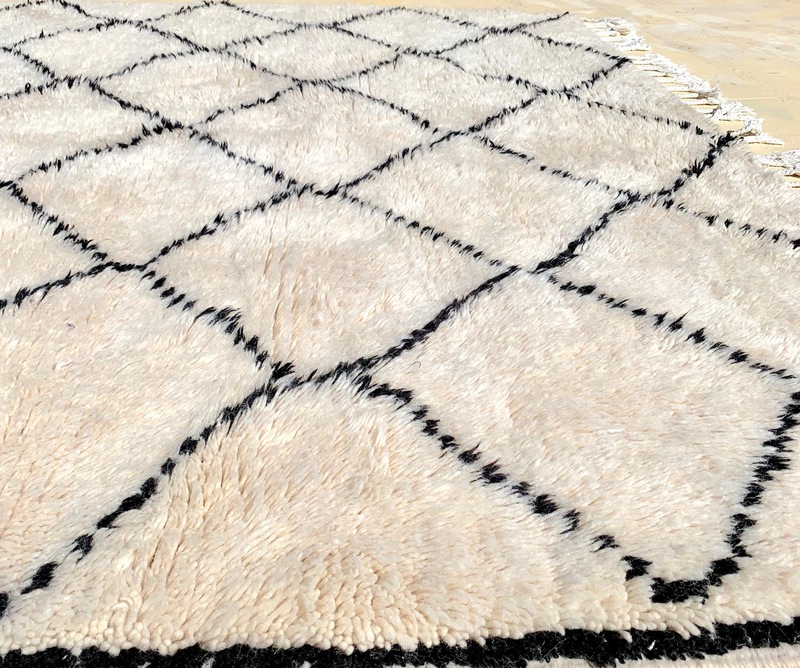 A beautiful popular beni ourain tribe design from pure wool . 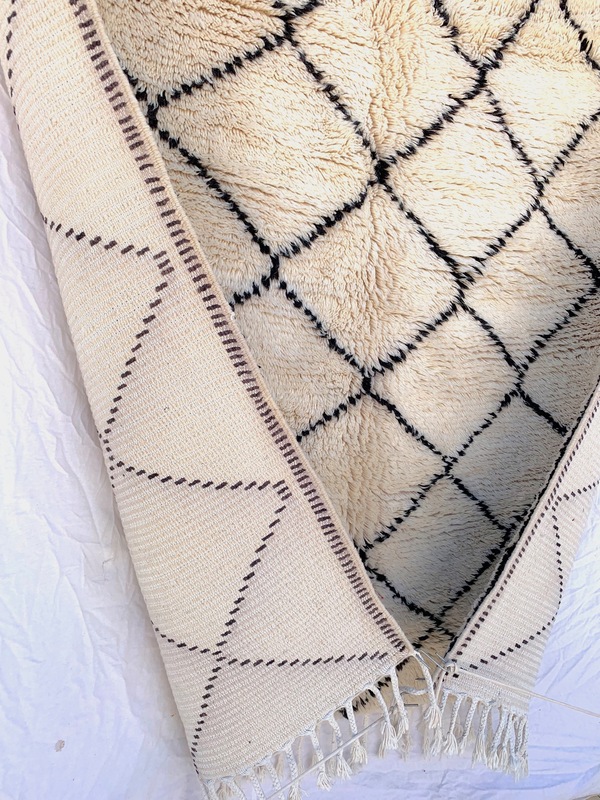 The tassels are made from cotton. 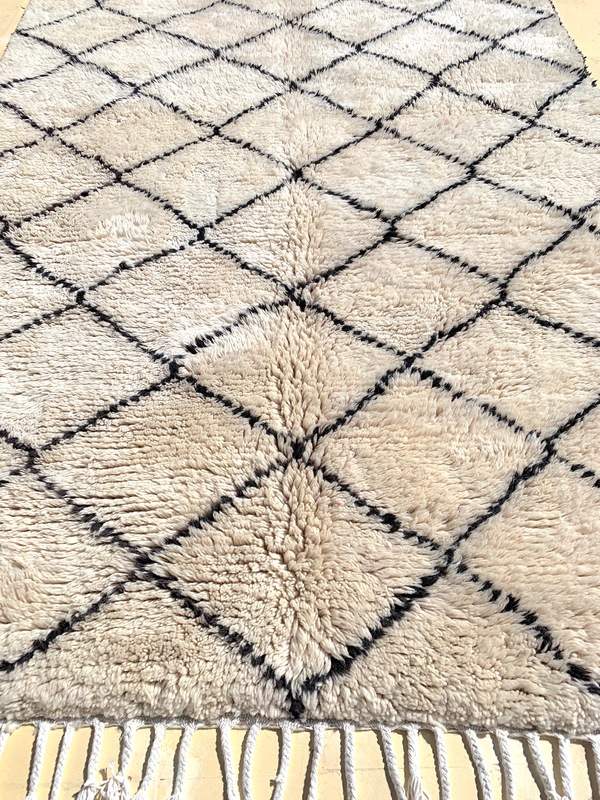 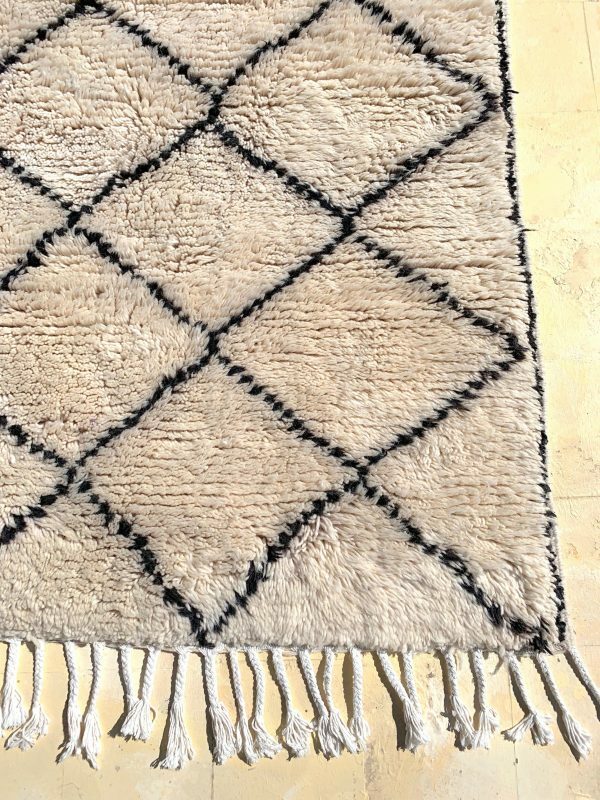 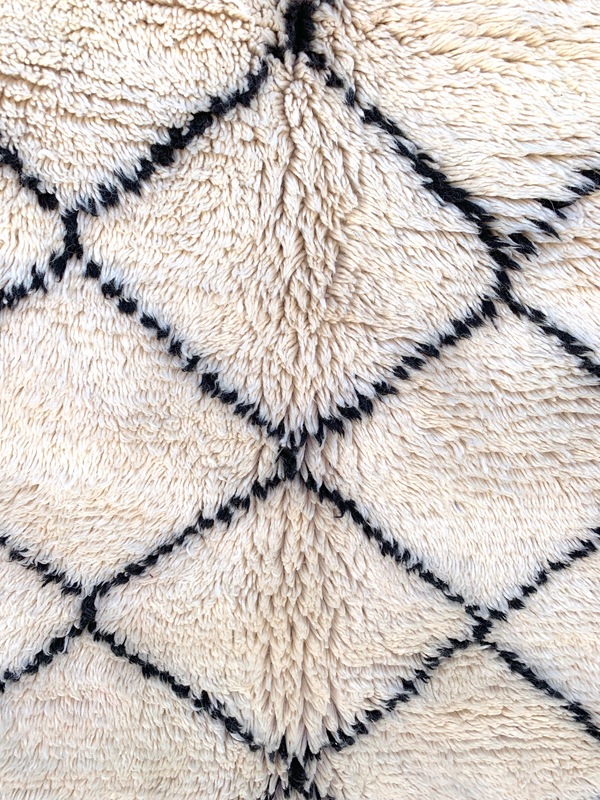 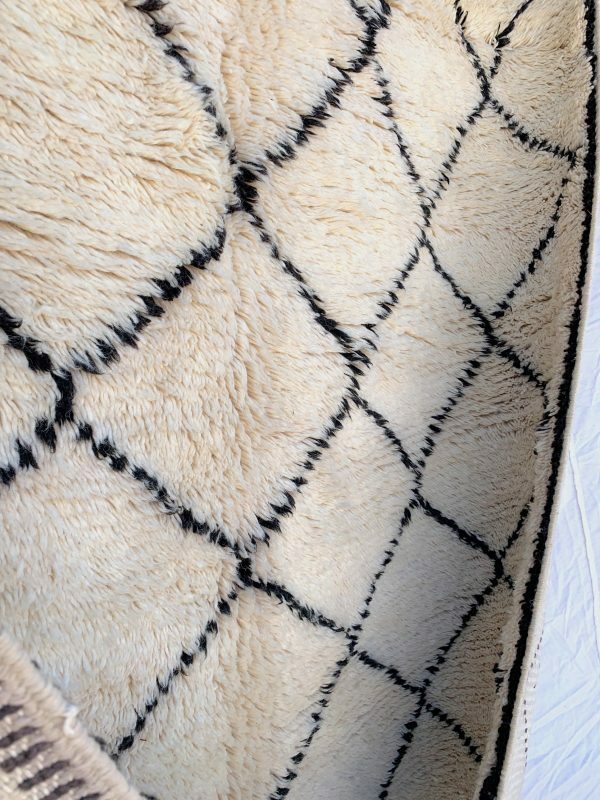 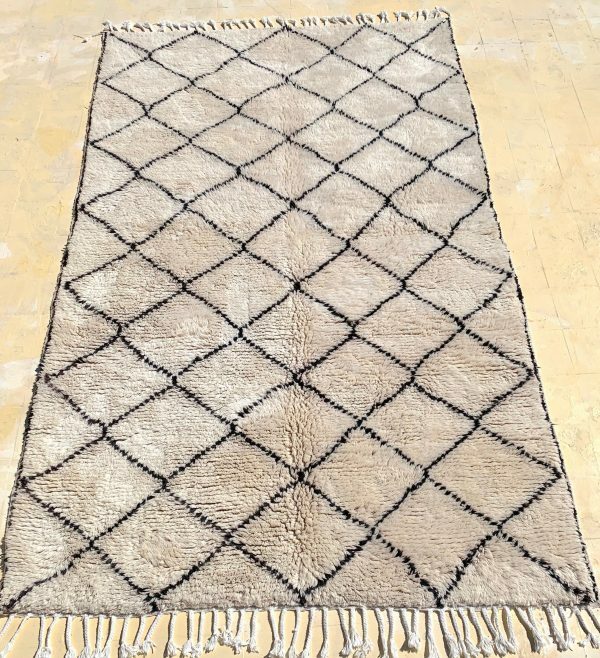 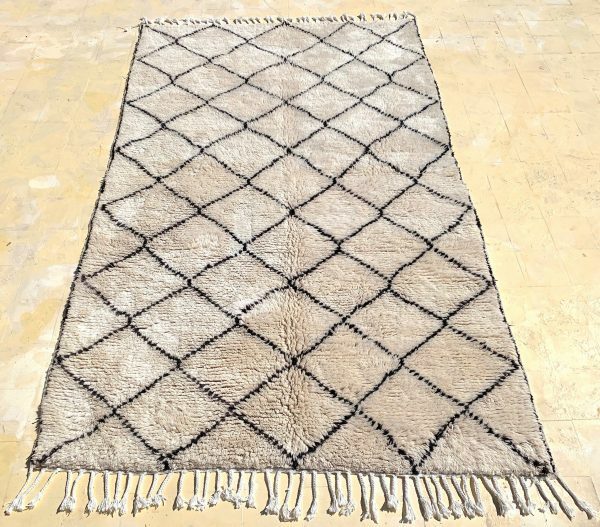 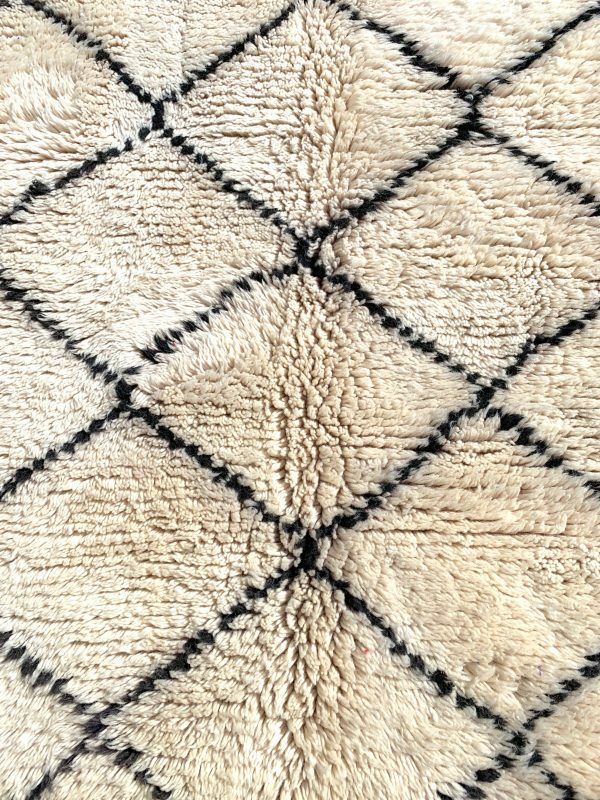 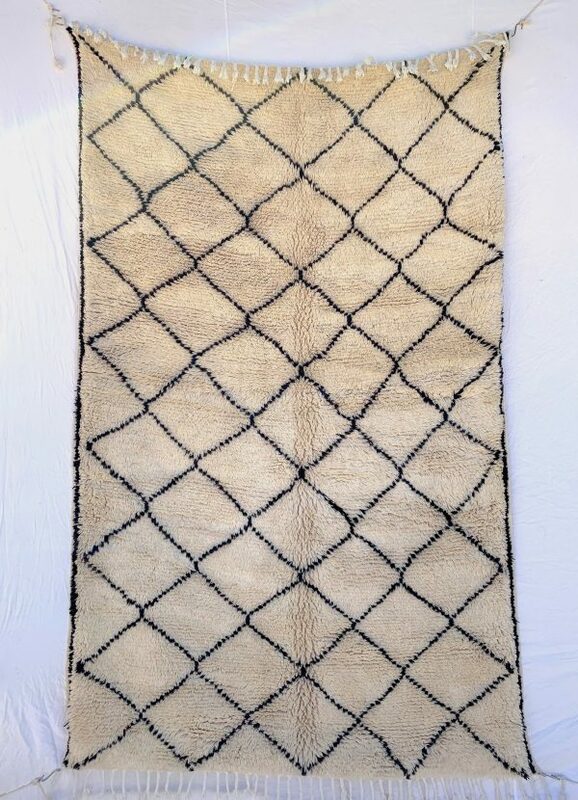 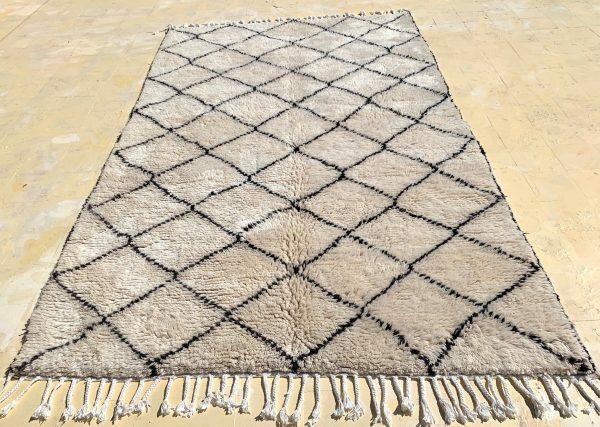 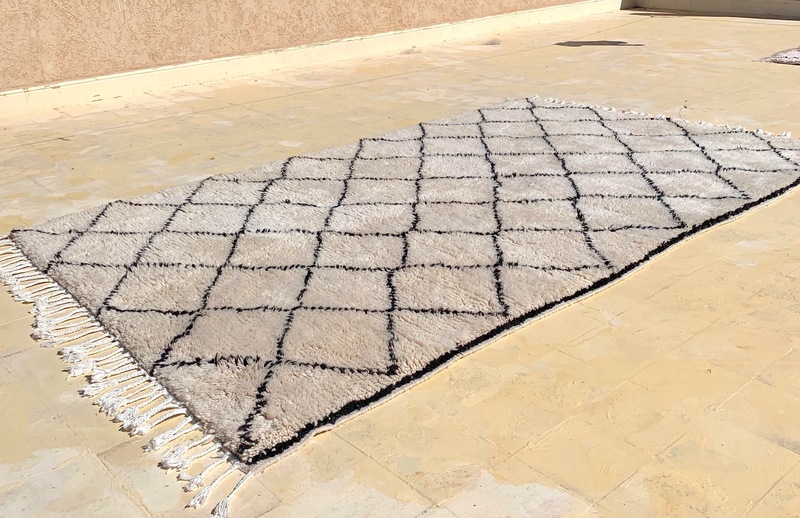 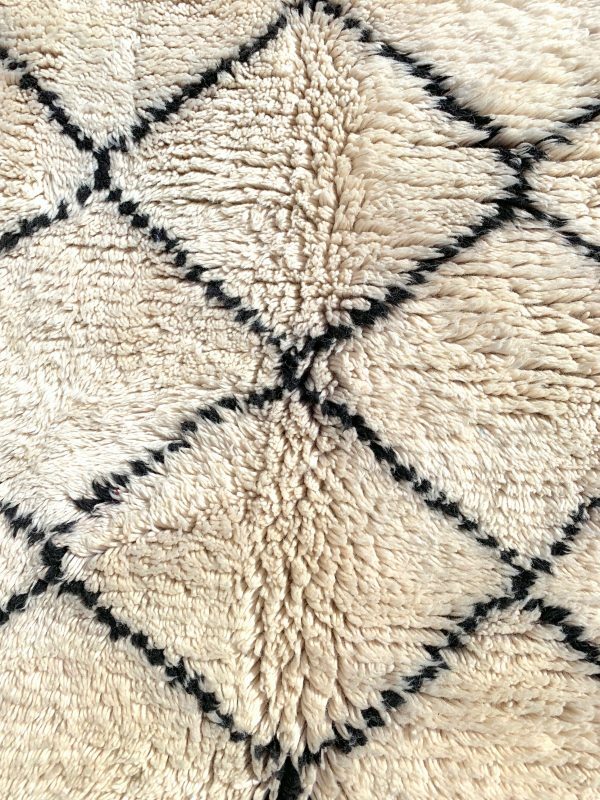 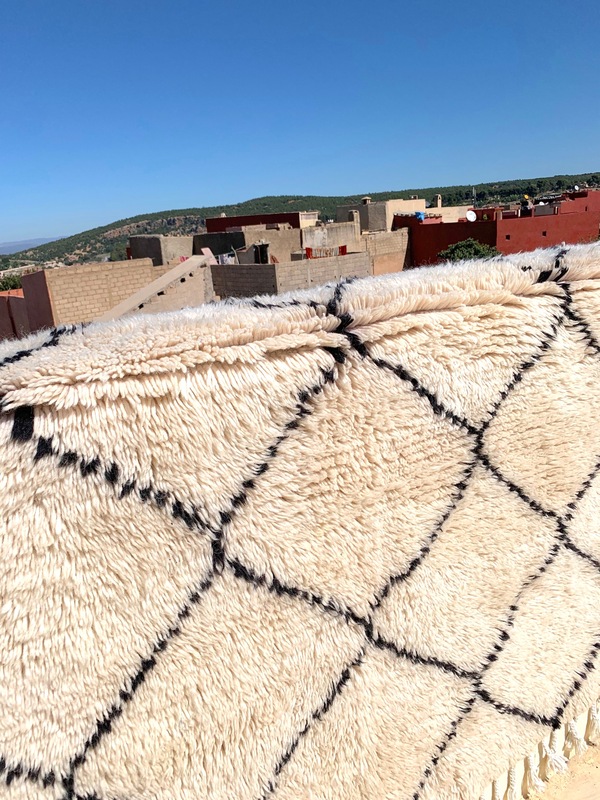 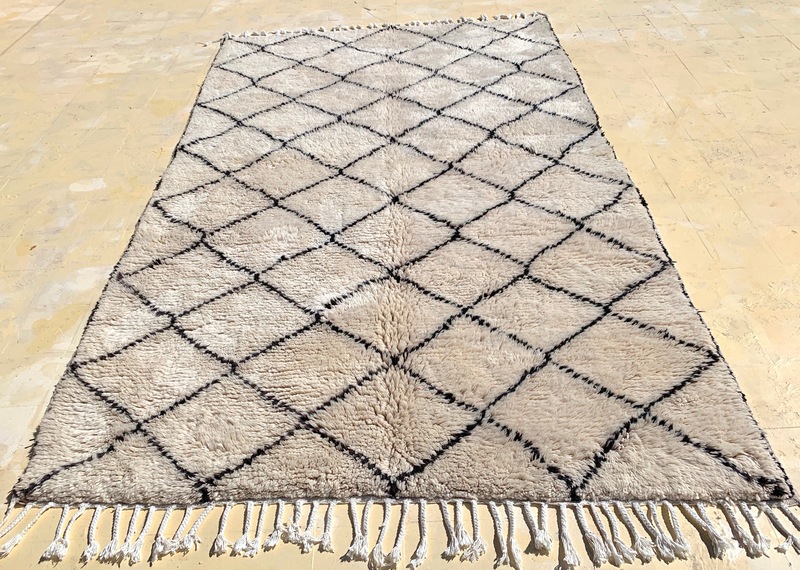 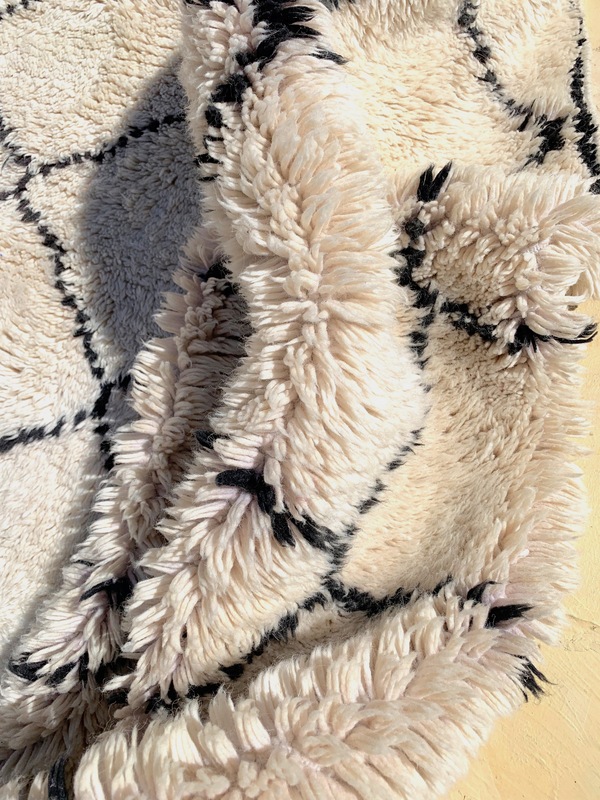 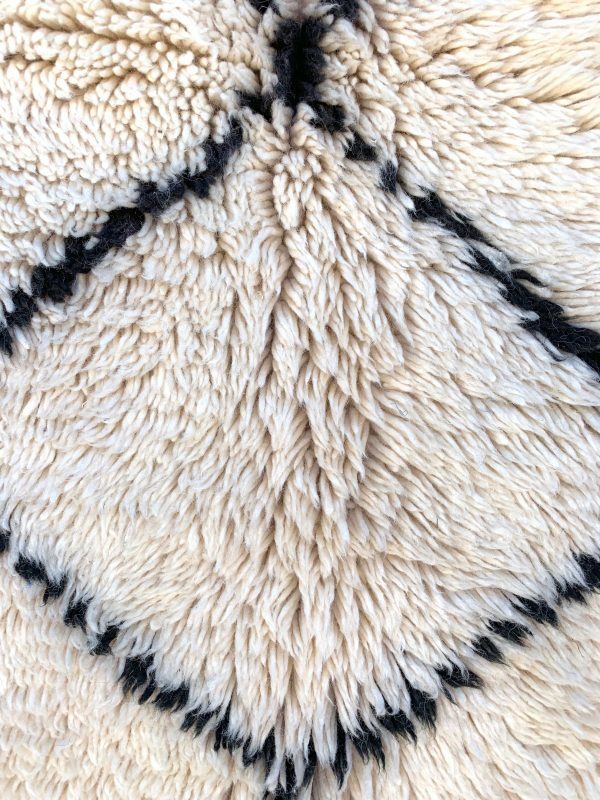 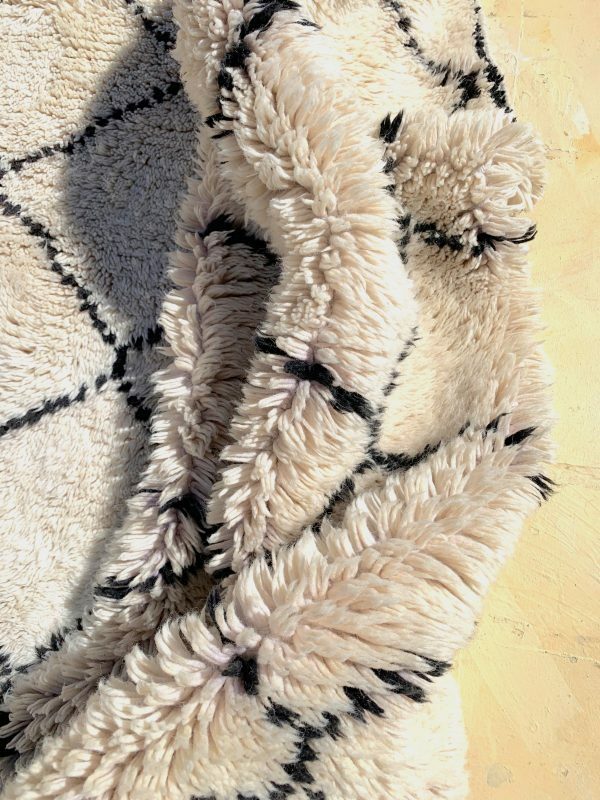 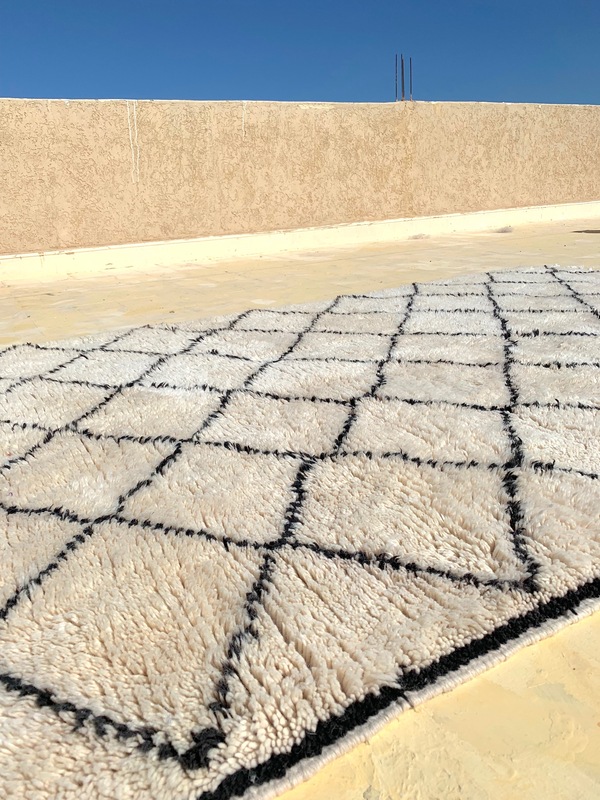 This rug is a part of our special rug collection, pre-washed with a heavy labor special technic that gives it a very special furry look and feel. 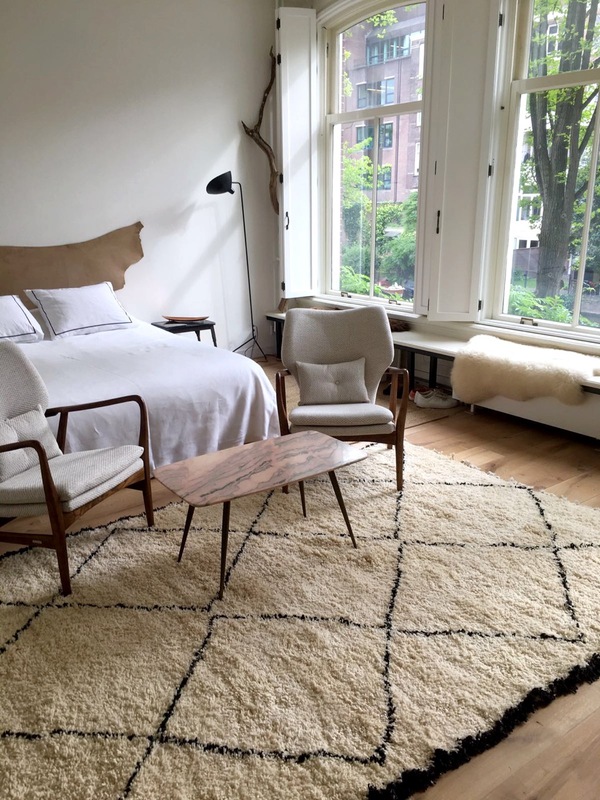 It’s luxury at its best. 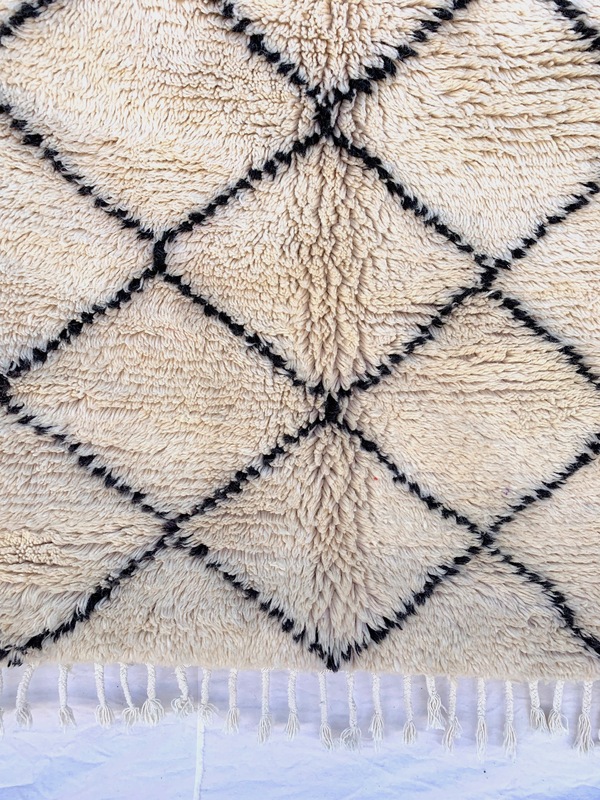 Colour: black design on ecrue background. 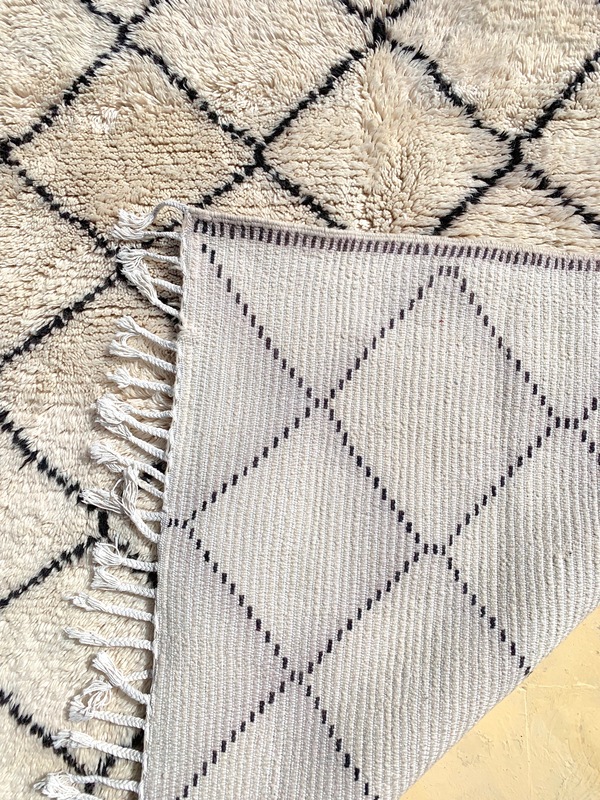 SKU: WR0003. 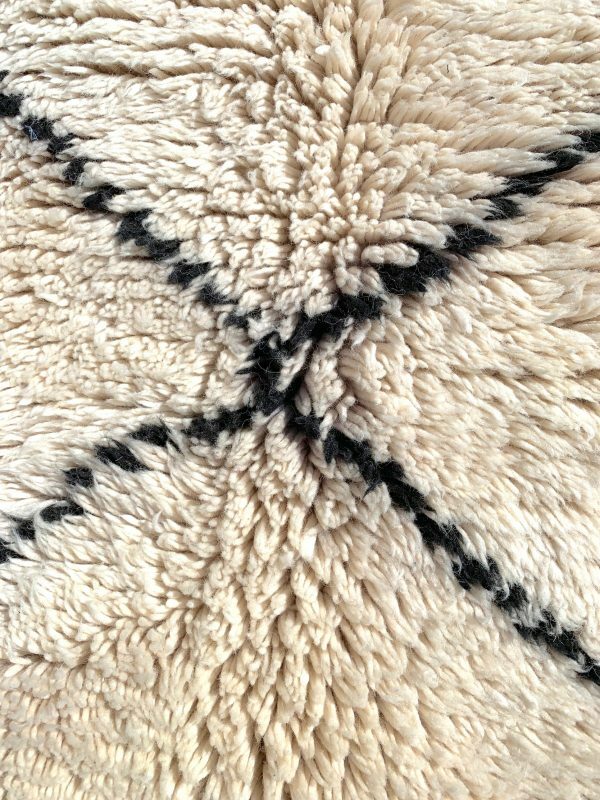 Availability: In stock Size: N/A Categories: All, THE WEAVERY COLLECTION, The Special Ones, Luxury items!.